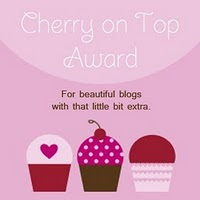 I must do a quick edit and I'm sure you can hear the clapping--the Team at Try Stampin' On Tuesday awarded me a Top 3 for Challenge # 31. I've Thanked them over on their blog, but I'm giving them a big Thanks here also. They've got great sketches to get your creative mojo sparking. I've had my eye on this stamp set for a little while and just added it to my collection last week. I love jazz music and when I saw the challenge at Opus Gluei I knew these were the stamps I would pull out, and this was the perfect sketch from Try Stampin' On Tuesday. When I was much younger I loved to dance, still do in my dreams. 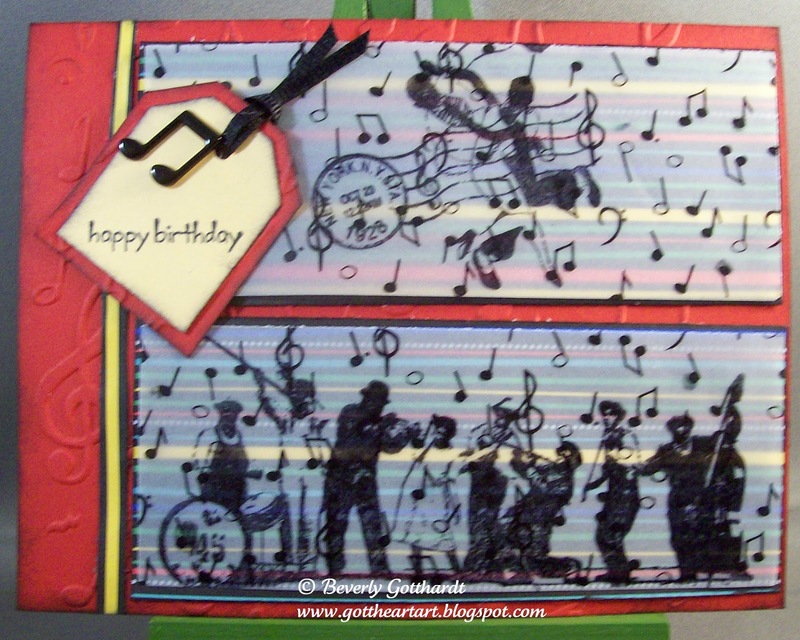 Supplies: Real Red Card Blank 4 1/4" X 5 1/2", Papers: SU-Real Red, So Saffron, It Takes Two Vellum Papers, doodlebug design, inc-stripes, Stamps: Hampton Art-Cling Curtain Call, SU-Happy Moments, Ink: Ranger Archival Ink-Jet Black, Crafts-Too-Musical Notes embossing folder, Stampin Up punches-ticket punch, lg. tag punch, ribbon-Offray, glue dots. I love the way your music notes hop all over the page...it is almost like you can hear the music that way...thanks for Dancin' with the Poohbahs this week at the Opus Gluei! I love the musical paper and how you used it in the sketch. I have never seen a card quite like this. 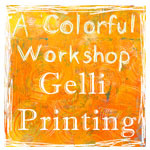 Thanks for playing at Try Stampin' this week. 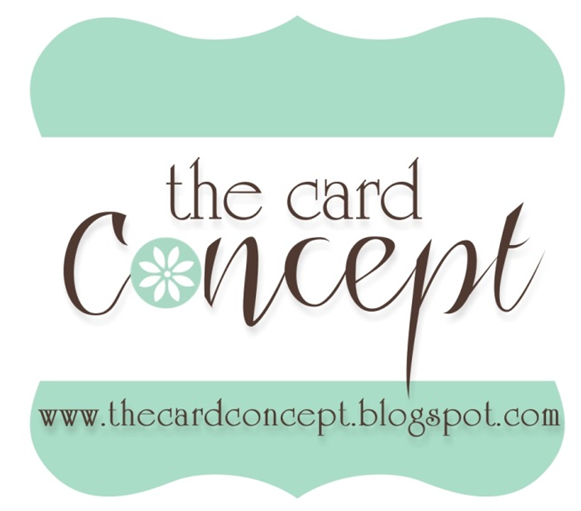 Great stamp and cards, your colour scheme and layout are perfect for the stamp! I can absolutely HEAR the music on this great card! (I dance in my dreams too) Thanks for dancing with us at Opus Gluei!! Love this! Being from Louisiana, this makes me think of celebrating Mardi Gras! And congrats on your top 3! Yay! Welcome back to Opus Gluei, we've missed you and that creative mojo you share with us! Your card is wonderful, I love your composition here. I agree with Electra, I can alsmost hear the music and feel my toes tapping. This is a great card for a wide variety of recipients - a musician, true jazz lover, man or woman - and I love having a go-to, versatile card like this! Hope we get you back at Opus Gluei for more challenges! Fabulous card. I love how the music is flooding the area. Just gorgeous. Thanks so much for dancing with us at OPUS GLUEI.